At the moment all of our days blend into one, and little man soon gets bored doing the same thing over and over. So I thought it was time for some messy play! We (hubby & I) were going to make jelly worms, but we tried for 3/4 of an hour and just couldn’t get it right, so we just put jelly into different shaped receptacles in the end! 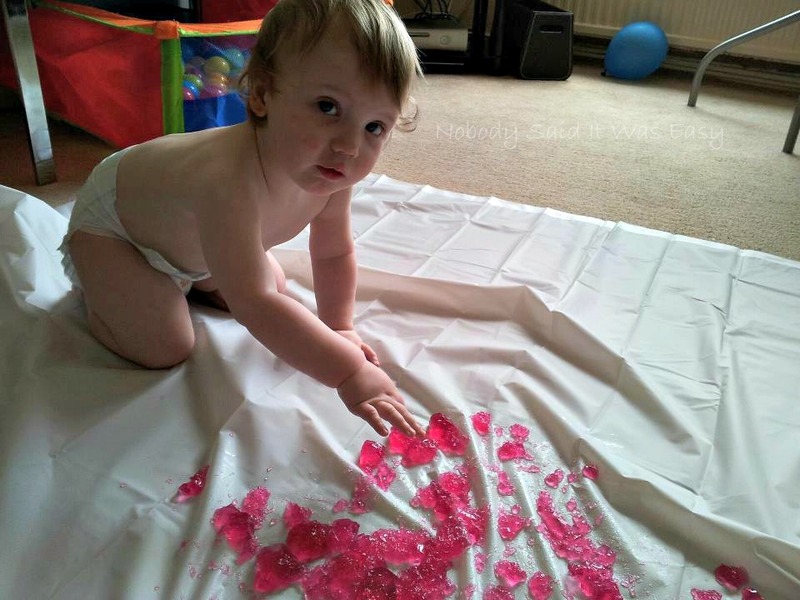 We don’t have anywhere/anything really for him to do messy play, so we just bought a cheap as chips shower curtain, and it seemed to do the job! I also had a towel to hand for a quick clean up! 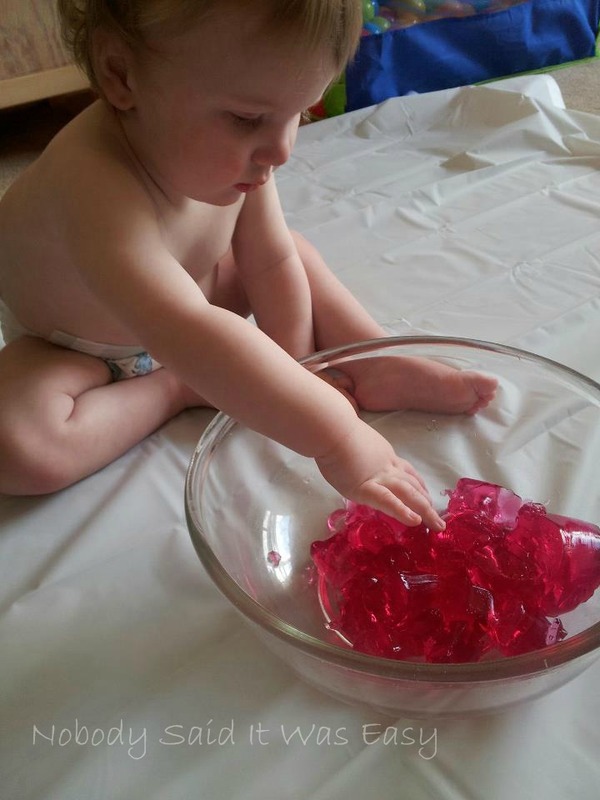 He was a bit wary of the jelly at first, as he’s never had it before, and obviously it’s a new texture. He just kept poking it really quickly, then I had to get in there and show him it was ok to touch it, he really got stuck in then, and experienced its taste for the first time too! We have some left over, so I’m going to let hubby loose with him tomorrow too, he’s a big kid at heart!